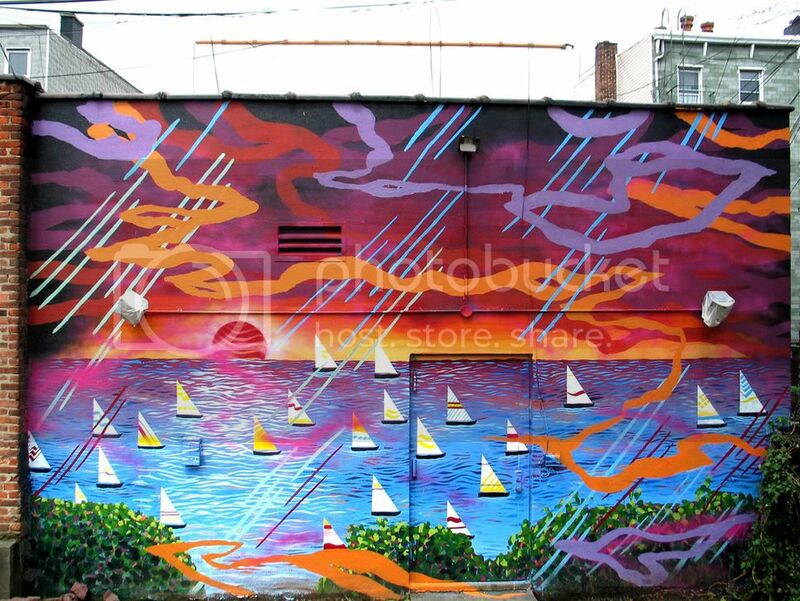 I painted this mural of a sailboat regatta at sunset in the rain. Its at Crest Hardware in Brooklyn. To see it LARGE click HERE.